Let me explain, I don’t really think you’re a Cow. 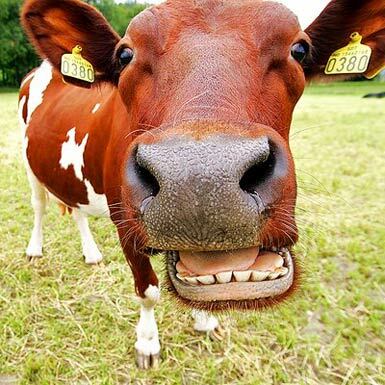 And obviously, I am not a Cow because as we all know … Cows can’t type. My writing starts with an idea and usually that idea comes with a interesting working title. This month I had two possible working titles to choose from. However, despite my best effort to stay with the plan, many times the post goes in its own direction and I end up with something new. That’s life, you think you know where you’re going but you never know for sure. So that is the reason this month: I’m a Cow, You’re a Cow. a deep or considered thought about something. "philosophical ruminations about life and humanity"
the action of chewing the cud. "cows slow down their rumination"
I’m not talking about chewing your cud, not exactly. 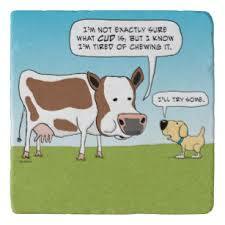 See, the cow will bring up something that has already been chewed over. She does this so she can chew it over some more and swallow it again. This Bovine Rumination serves to slow the digestion. I’m not sure what purpose is served from human rumination. I will freely admit I bring things up just to chew them over, again. Obsessive rumination is problem-solving gone wrong. It is a tendency to repetitively think about the causes, situational factors, and consequences of an emotional experience. Basically, rumination means that you continuously think about the various aspects of situations that are upsetting. For me, that upsetting situation is usually has something to do with making a foolish mistake. This means if I think I should’ve known better, I will obsessively go over the situation. I don’t mind making a mistake. Making mistakes is called learning. My problem is silly mistakes. Not only does it drive me crazy but also drives others crazy. My wife thinks I’ve improved but the only improvement I’ve made is in learning how not to drive her crazy with my ruination. What’s so bad about rumination though, it’s all about problem solving right? While it’s true that problem solving and planning are essential to overcoming a difficult problem, people who ruminate tend to take these activities too far and for too long. Sometimes people will ruminate about the problem so much so that they never even develop a solution to the problem. So how do you overcome rumination? Have you ever heard the phrase, “get your mind off of the problem?” The answer is simple, doing it takes effort. To overcome rumination you need to engage in some kind of activity that fully occupies your mind and prevents your thoughts from drifting back to the problem. This is easier to say but hard to do because when something is upsetting we want to solve the problem as quickly as possible and many times we can’t. 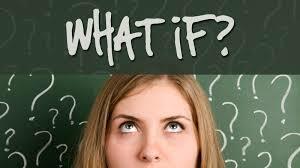 My patients play the WHAT IF game. It’s a game where you come up with all the possible things you should’ve done to avoid the situation that is now stuck in your head. WHAT IF I said no instead of yes? WHAT IF I didn’t stop to get that coffee? WHAT IF I’m not prepared? The list of WHAT IF’s goes on forever, thus, you have rumination. The good news: you’re not crazy. Your brain is doing what it’s suppose to do. The bad news: you’re not controlling it, it’s controlling you. You can control it be playing the WHAT IF game the right way. I said no instead of yes because, at the time, you gave the best response. The bad WHAT IF game assumes you know the future. You don’t. Stop with the shoulda coulda thinking and start with the can and will do. Give yourself break; you’ll be amazed at how much better you’ll feel.